If you are a Kingdom Hearts fan and had a chance to check out last summer’s Kingdom Hearts: Birth by Sleep, then you’d have to admit that it is a tough act to follow. Then again, you’d be a fool to think that the franchise would simply be placed on hold until the inevitable Kingdom Hearts III arrived. Heck, there’s even an entry for Nintendo’s upcoming 3DS handheld that’s currently in the works. 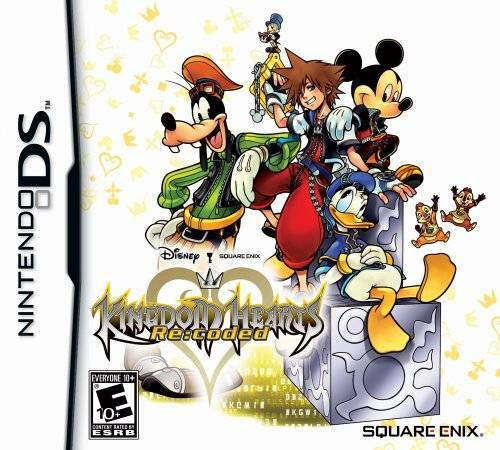 Before I get too ahead of myself discussing things yet to be, let’s get back to the point of interest: Kingdom Hearts Re:coded. Considering the lack of buzz around the title, you might be wondering to yourself what exactly this game is and what it brings to the table. Well, despite their often ludicrous naming conventions, Square Enix has kindly placed some hints in the game’s title. Similar to the PS2’s Kingdom Hearts Re:Chain of Memories, this game is a remake of an earlier title, hence the “Re:”Â like someone was replying to an e-mail. This title in particular is actually a remake of a Japanese cell phone title called Kingdom Hearts: coded. At this point, you might be thinking what I thought once I realized what it exactly this was, and that is how can a cell phone game provide enough depth for a full on retail Nintendo DS title? Well, let’s find out! Rather than being another prequel, this title actually takes place after Kingdom Hearts II. Before you get too excited, realize that it is little more than a filler episode in the grand scheme of things. It all starts when Jiminy Cricket opens the journal that he used to record the events in the first Kingdom Hearts game and the very same one that got wiped clean during Chain of Memories. On one of the pages, a phrase is written that he doesn’t recall writing. He brings it to Mickey and together, along with Donald, Goofy, Chip, and Dale, they attempt to analyze it via a computer that reads the journal like data. I never understood that last part myself. Perhaps Jiminy’s journal is really a Kindle? What they find is that the journal is plagued with “bugs”Â that take on the appearance of giant blocks. In order to correct these discrepancies and get to the bottom of the mysterious message, they enlist the aid of a virtual Sora to investigate all of the worlds in the journal and eliminate the bugs. 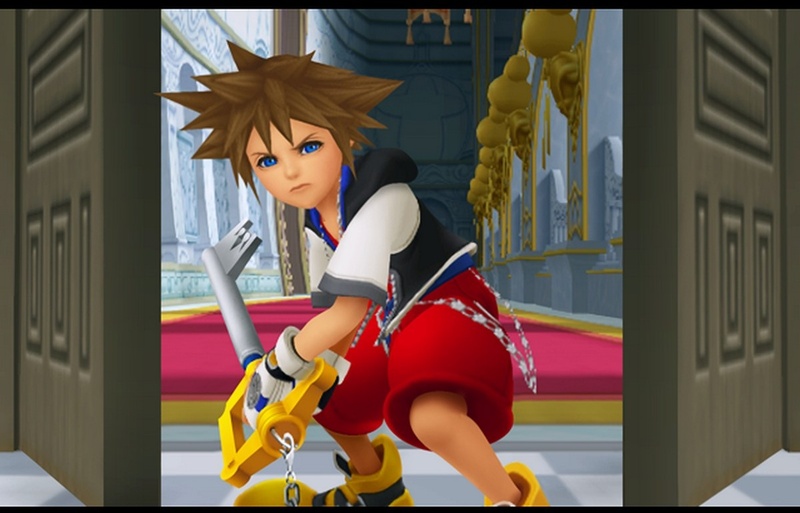 Since this Sora comes from the world within the journal, he has no knowledge of the deeds his real self has done, nor does he recognize the voices of Mickey and the others that guide him. All he knows is that the worlds around him will be destroyed by these bugs unless he does something to stop them. On paper, the concept for the storyline sounds really awful, though somehow it just works. Even though this title has essentially hit the reset button on Sora’s character, it is interesting to see him grow a second time and despite visiting the same worlds and meeting the same people over again, it still somehow feels fresh. 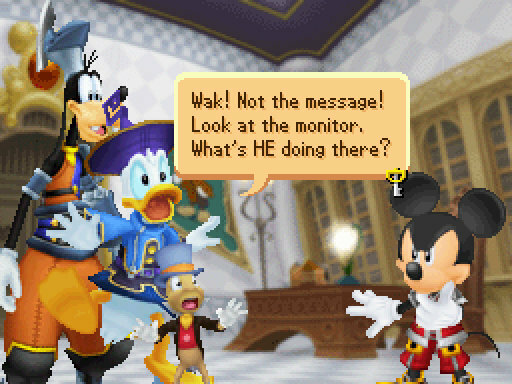 That said, this is still the least interesting story in the Kingdom Hearts canon, but when you consider this was originally a cell phone game, I’m sure they weren’t really aiming too high. There were some additional scenes added that ties everything back to Kingdom Hearts II and bridges the gap between it and its inevitable sequel, but it’s very minor and certainly not enough to make this a must play title, even for fans. You would never be able to tell that this was originally a cell phone game if nobody told you, as the developers did a great job updating this for the Nintendo DS hardware. 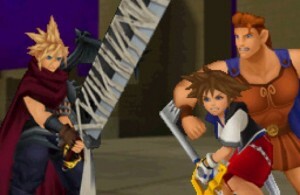 If you played Kingdom Hearts: 358/2 Days, you should have a pretty good idea about how well the visuals look. All of the characters and enemies are rendered in impressive 3D as well as all the locales. There are even some CG sequences dotted here and there that do well to showcase what the system is capable of. For you retro fans, there’s even a couple sections where everything is showcased in less detailed 2D visuals, but more on that later. Even though it’s hardly a fair comparison, it’s worth noting that the visuals are quite a bit less impressive when compared to September’s Birth by Sleep for the PSP. 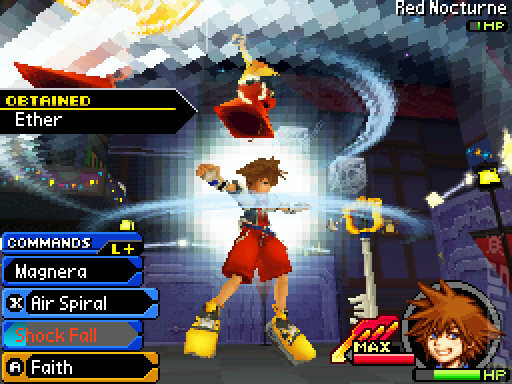 358/2 Days was a spectacle to behold in 2009 because it was the best looking KH title on a portable up to that point. Two years later, while Re:coded could still be regarded as a technical feat when compared to other games on the system, it still feels like a downgrade after playing BBS. 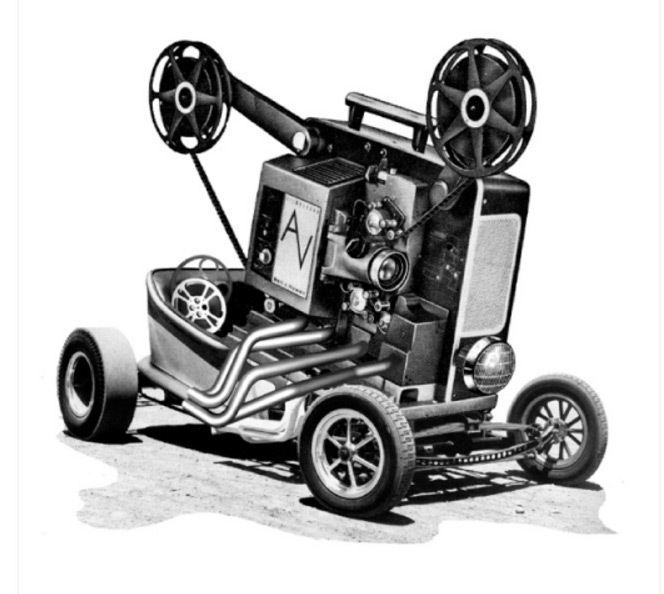 In contrast to the 3D visuals, however, is the use of still images for some of the scenes. 358/2 Days used its character models for every cutscene, even ones where there were no spoken dialogue. A good portion of Re:coded‘s story is told with portraits and little text bubbles that convey what they are saying. I don’t think this is a terrible thing in games, nor is it detrimental to the experience here either. However, considering the storytelling presented in other games in the franchise, it is a bit jarring and lacks consistency with other entries in the series. 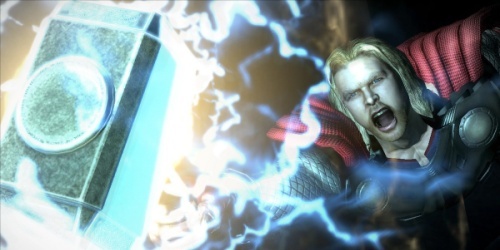 Like the rest of the series, the game opens with a CG montage of various scenes in this game and other titles in the franchise. Can you guess which song they used to accompany it? That’s right, the remixed Simple and Clean makes a return appearance in Kingdom Hearts Re:coded. As as I mentioned in my Birth by Sleep review, I enjoy the song, I really do. But would it kill them to write a new one? The rest of the soundtrack consists of more tunes that have almost completely been lifted out of the original Kingdom Hearts, which should hardly be a surprise considering you’ll be visiting all of the same areas as you did in that game. Luckily, the music is still very good, so this is hardly a negative when you put it that way. 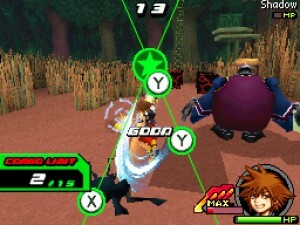 There are some zones that Sora encounters that transports him into a digital realm where he can get to the source of the bugs. There was some additional songs inserted into these sections which made for some fairly decent additions, but for the most part everything will sound familiar to you if you are a veteran to the franchise. The voicework, despite how little of it there is this time around, is still top notch. Kingdom Hearts Re:coded marks the debut of Phil Snyder as the voice of Jiminy Cricket due to the former voice actor, Eddie Carroll, passing away. Keen ears can tell the difference between the two (I definitely noticed it), but for the most part, Phil does a good job of mimicking the work of his predecessor. The rest of the cast returns to reprise their respective roles, such as Haley Joel Osment, and the quality of their voiceovers is consistent with the rest of the series. 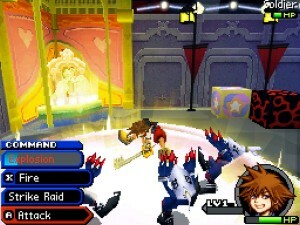 The gameplay varies wildly in Kingdom Hearts Re:coded, as the developers tried to mix in as many genres into the game as they could. The core game is still largely unchanged from its predecessors, though it takes queues from both 358/2 Days and Birth by Sleep in terms of its combat and character growth systems. The D-pad is used to move Sora around the screen as it always has, and A and B are assigned to your attacking and jumping respectively. On the bottom left corner of your screen is a list of equipped items and skills that you can use with the X button. Once you use one, you have to wait for a cooldown to pass before you can use them again. The L button allows you to cycle through them until you get to one you want to use, while the R button allows you to center to camera. Using the two together allows you to lock on to the nearest enemy. The remaining Y button is designated to blocking and dodging. Again, it works almost as well as its predecessors, bringing with it the same kinds of problems those titles had such as poor camera control. There are also some new things that are introduced that seem wholly unnecessary, such as the new auto-jump. Similar to The Legend of Zelda, if you approach the edge of a cliff, Sora will jump automatically. This would be all well and good except there really is no good reason for it. You already have a jump button. What if I just want to fall down or hang from a ledge? I can’t, because Sora wants to take a flying leap off the nearest cliff I lead him to. This problem is further compounded if you acquire the skill to jump even higher. Want to land on the ground? Try the moon. On the lower right hand corner of the screen, in addition to your health meter, you also have another meter that can be built up three levels before reaching max. Each level you acquire (which is done by hitting things with your keyblade) allows you to advance down a tree that is displayed on the bottom screen. For example, if I hit level 2, I may be able to add a blizzard element to my keyblade or I may have added magic damage. You can choose which path you go down on the bottom screen as you are fighting and the options change depending on which keyblade you have equipped. I thought this was a neat addition to the gameplay and one I would like to see utilized in the new 3DS title. Once you hit your max, you can also unleash a finishing move similar to the ones featured in Birth by Sleep. These may consist of a large explosion, or a series of button commands depending on which one you decide to equip. After you’ve exhausted this move, your level resets back to one in order for you to build it up again. The character advancement screen looks like a computer circuit board in a way. You have wires that connect cpu units and other odds and ends together and you fill those with chips that contain level ups, and stat upgrades. Or you can even fill them with blank chips if you’re just trying to connect two pieces together. If you are able to establish a connection between two cpu units, anything inserted into those slots gets multiplied by two, so careful planning is required if you want to maximize your potential. It’s not only a fun system, but one that fits in with the theme of the game. You can also level up your individual skills and magic like you could in Birth By Sleep. Each skill earns points as you defeat enemies with them equipped and once they are maxed out, can be fused with other skills to create new ones. What’s nice is that you can see the result of your fusion before you go through with it, as not all combinations will create something new. Sometimes you’ll just have a higher level version of one of the skills you started with, which for useful skills, is also a feasible alternative. Even though you’ll be visiting all the same areas as the original Kingdom Hearts, the things you will be doing vary wildly from world to world. Some worlds are just your standard smack-around-heartless-until-you-find-the-boss affairs, but others will have you doing 2D sidescrolling platforming sections, rail shooter sections, and there’s even a segment where it becomes a turn based RPG. The problem with having so much variety, is that if there’s a particular genre that you are forced to do that you don’t like or are not very good at, you’re stuck doing it until you complete the world. Luckily, none of the tasks set before you are overly difficult, but it’s something to be aware of. Each world also has moments where it becomes “glitched”Â and you have to find a “system area”Â where all the bugs are. This becomes a game of hot and cold as you traverse your immediate area trying to find it. Once you do, you are dropped into a series of floors that tasks you with wiping out all the glitching enemies before you can move on. You can also earn points in these areas that can be used to purchase upgrades after you complete the entire sector. Later on, you can bet these points in order to increase your reward if you are able to complete a challenge you are given such as defeating X amount of enemies or getting through the floor before time runs out. It’s a little irritating that they force you to bet something, even if you don’t feel confident that you can complete the challenge, but its a neat little diversion nonetheless. At the end of the day, I had really low expectations for Kingdom Hearts Re:coded considering that it was based on a mere cell phone game, but this title really surprised me. Between the classic Kingdom Hearts gameplay I’ve come to enjoy, mixed in with some new combat and leveling additions, and a fresh take on old locales, I had a really fun time with this game. If you’re a KH fan at all, you will too. I completed the game in about 12 hours, which is about a third of the time it took me to get through 358/2 Days and Birth by Sleep. This isn’t to say there isn’t more to do (there is), but it felt like the core adventure ended rather quickly. At the same time, I do prefer more concise gameplay experiences over ones that are needlessly padded out. Not everyone feels this way, of course, but I personally find it exhausting to expect every game to be 30+ hours in length before I consider it a worthwhile purchase. I just don’t have that kind of time to dedicate to each and every game anymore I guess. For those looking for some extra stuff to do, some of the content doesn’t open up until after you complete the game for the first time. 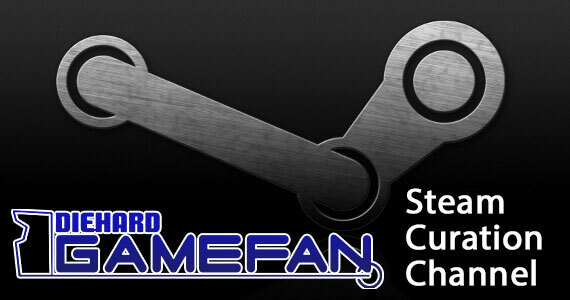 There are a number of system areas that become available after your initial playthrough as a way to earn more items for the completionist in you. Some worlds you can return to after you initially complete them to explore further and uncover hidden bosses. There are even a few sidequests scattered about that are given to you by NPC characters. Kingdom Hearts: Recoded is a little light on content in comparison to other games in the series, but there are still plenty of things to be done (including unlocking another secret ending sequence). Fans will surely have fun with it, but the $35 asking price might be a bit on the high side. Kingdom Hearts Re:coded has an adjustable difficulty level, so you can switch things up as necessary to fit your skill level. My initial playthrough was on the normal difficulty and while I suffered a few defeats, I never felt the game was being cheap or unfair. I think the biggest snag for some people is going to be playing the bits of the game that feature genres that might be out of their comfort zone. It’s not often that you will find sidescrolling platformer bits and turn based RPG’s meshed into the same game and there’s probably a good reason for that. Unfortunately, since some of the bosses are represented in some of these alternate genre bits, having the option to skip these or simply just give up on them if they prove too difficult doesn’t seem to be a suitable compromise for this situation. They’re really not that challenging as a whole, but if you find that you simply lack the skill to complete some of these, there’s not much you can do about it. Also, the new auto-jump feature can go die in a fire. There, I said it. While it does introduce some new ideas and features to the franchise that I hope stick around (and some that I don’t), it’s hard to disguise what this game is: a port of a cell phone game that itself didn’t offer much in the way of series progression. The story is just an excuse to revisit old territory and that old territory looks almost exactly the same as it did in the first Kingdom Hearts game. Heck, you even fight all the same enemies and bosses as you do in the other KH titles, the only additions being the “bugs”Â that are nothing more than differently colored cubes with legs. Even the addition of new genre types inserted into the gameplay offers little in terms of true originality. They all represent the bare basics of their respective genres and all of them have been done better in other games. While they were a nice change of pace, they probably would have been better served as minigames that the player could opt out of, rather than something forced upon the player. It’s like if you were playing Call of Duty and they inserted a stage where you had to play Tetris against an enemy soldier to progress. Talk about being out of place, right? The same rings true here. While it didn’t sink its hooks in me as deep as Birth by Sleep, I was still pleasantly surprised by how fun this game was. I went in expecting Angry Birds: Kingdom Hearts, but came out impressed by how robust it was in terms of its action RPG gameplay. I would still rank it as one of my least favorite games in the series, next to Chain of Memories, but by no means is it a bad game. Despite my earlier comments that having so many genres present in the same game might turn off some gamers, it also works as a positive in some ways. 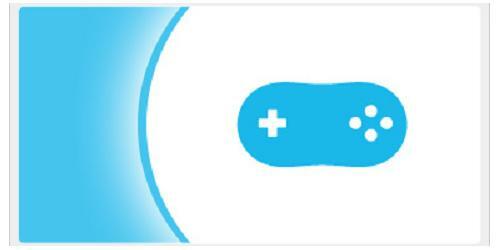 It ensures that each world is something different and the variety in the gameplay keeps everything fresh. So even if the turn based sections drive you bonkers, there’s always that knowledge that something different is around the corner that keeps you going. This is definitely a game for the fans, although it may be a tough sell even for them. Since there’s been no formal announcement of Kingdom Hearts III, I think the fanbase, myself included, are getting a bit restless. The plethora of spinoff titles don’t seem to be helping. It’s hard to rag on them too much though, considering they’ve all been very good, Re:coded included. But I would hate to see “sequel-itis”Â lead to the downfall of a franchise I enjoy very much. But considering how much time Tetsuya Nomura and his team have spent on Final Fantasy Versus XIII, I wouldn’t be surprised to see a half a decade development cycle for the next true sequel. There’s a lot of spinoff titles that can be squeezed into that window, ladies and gentlemen. Let’s hope that between this and the 3DS entry that KH fans will continue to hold interest. 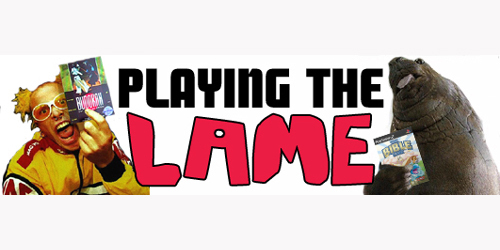 As for gamers that aren’t already series regulars, while they may get some enjoyment out of this title, this is not one that I would recommend for them to start with. Despite visiting all the same places as the original Kingdom Hearts, there is still a lot of referencing to prior events. And I would rather introduce someone to the franchise the proper way, which is by having them play the better quality games in the series, not the least quality ones. 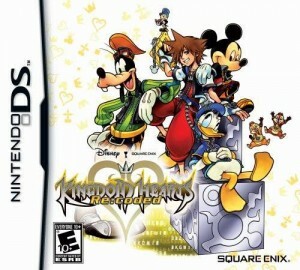 I think Kingdom Hearts Re:coded should’ve been priced at $29.99 or even better, $19.99. It has a fraction of the content offered by 358/2 Days and that title can be acquired for much cheaper than this one now. Throw us a bone, Square Enix. If we’re going to have to buy a $250 portable to be able to play the next entry in the franchise, a little discount would be nice on some of your, shall we say, less epic games in the series. While there is no multiplayer in the traditional sense, you can put the title in a “tag mode”Â that when you come within close proximity to someone else with the game, you can add their profile containing their avatar to your roster. If what your friend’s avatar is wearing correlates with what yours has on, your avatar will become happy and Sora’s luck will go up in the main game. Also, you can acquire scratch cards from meeting other players that can earn you some more avatar parts. You can also earn them doing floor challenges in the main game or from floor challenges that your friends send you. Unfortunately, I didn’t have the opportunity to try this out myself, but that is the basic gist of how it is supposed to work. Kingdom Hearts Re:coded attempts to take a Japanese episodic cell phone title and turn it into a full fledged retail release. For the most part it succeeds, with the production values being just shy of the level of Kingdom Hearts: 358/2 Days. It’s a fun game that fans of the franchise will enjoy, although it is a bit on the short side and much of it is spent retreading familiar ground. Also, the developers tried to throw in as many different genres as they could and while that may be acceptable for a cell phone game, it’s slightly less so when you’re charging $35 for an experience that’s not very cohesive as a whole. Still, the gameplay variety keeps the experience fresh and while Kingdom Hearts Re:coded may be one of the weaker entries in the franchise, it is still a very enjoyable one. I can see this one being a purchase – the wife is a big KH fan – for $20 and under, not the full $35. 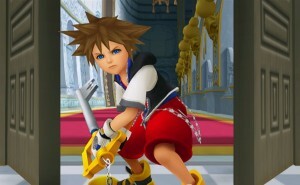 Unsurprising to hear that they are already looking at a 3DS KH, too.